MR.YOLK by Ramarama for Aug 4th <strike>Drop</strike> Release! 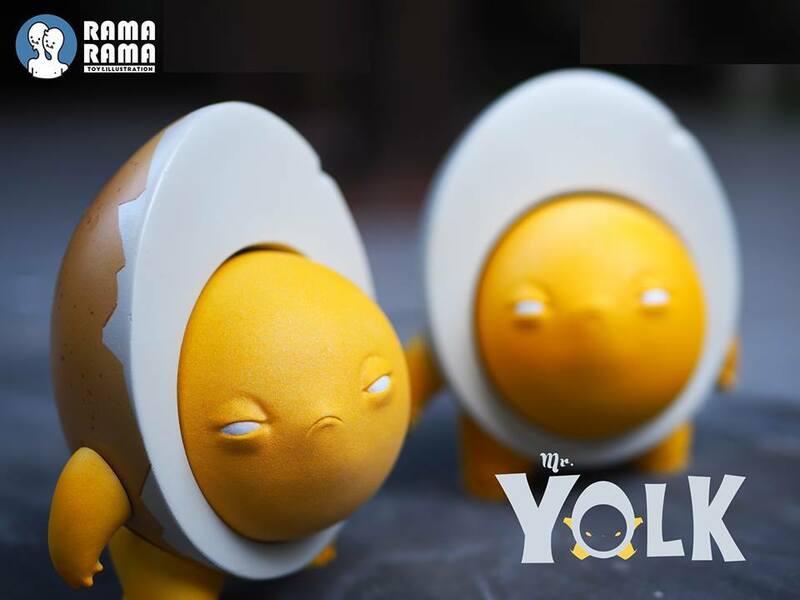 MR.YOLK by Ramarama for Aug 4th Drop Release! 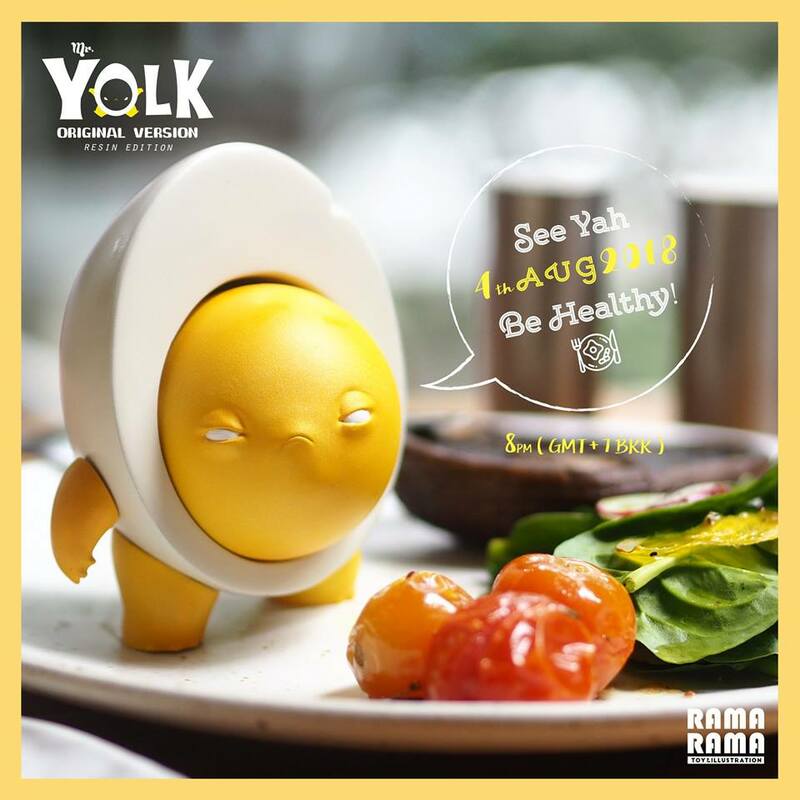 Introducing MR.YOLK by Thailand based Ramarama. The "original version" will be opened for pre-order this Saturday August 4th 8.00pm (GMT+7 BKK), with this 4-inch tall pre-painted resin figure priced at US$65 (includes shipping in Asia / +5 USD for Europe and America), and limited to 100pcs worldwide - SPLIT into 70pcs on Facebook, and 30pcs via Instagram/Email Entry". 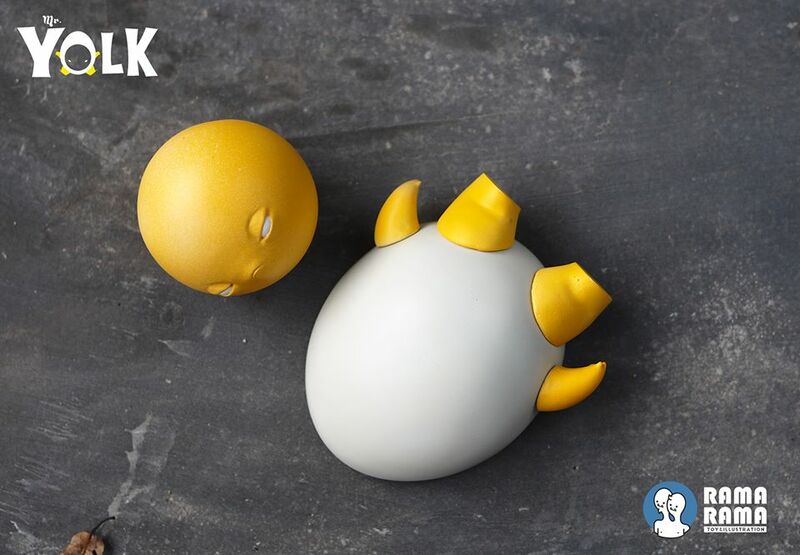 Mr Yolk features rotatable arms, head and free to pop-out (snap with neodymium magnet ) and come boxed with free Sticker & artwork in a package. Scroll thru to see what you need to do to grab at one (or "two" ;p). - If you want to change pls make a new comment. - It will be announced when Mr.Yolk is SOLD OUT. - You will subsequently be messaged/DM for reservation confirmation. - More details will be revealed on drop-day itself, so you are recommended to stay connected to @ramarama.studio for updates! ABOVE: WIP / BELOW: Ready to be Served!